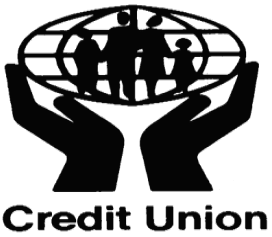 All credit unions are listed by state and in alphabetical order. In order to be listed in our directory the credit union must have an African American designation. You can click on the credit union name to go directly to their website (if available). There are 340 African American owned credit unions with assets totaling approximately $4.5 billion in assets or approximately 0.41 percent of African America’s $1.1 trillion in buying power. African American credit unions have a total of 834 623 members. African American credit unions comprise 42.8 percent of Minority Serving credit unions and 4.8 percent of all US credit unions. The total assets for all US minority credit unions is $37 billion, with AACUs controlling 12.2 percent of those assets. Total combined assets for all US credit unions are $1 trillion, with AACUs controlling 0.45 percent of total American credit union assets. For comparison, Asian American credit unions have approximately 400 000 members and $4.9 billion in total assets. Average and median assets of $88.3 million and $32.6 million, respectively. Religious affiliated credit union make up 5.6 percent of US credit unions. African American religious affiliated credit unions comprise approximately one-third of all African American credit unions and almost one-fourth of all US religious affiliated cred unions. HAMPTON CITY EMPLOYEE CREDIT UNION INC.
OLD DOMINION UNIVERSITY CU INC. THE RICHMOND POSTAL CREDIT UNION INC. This entry was posted in Lists and tagged african american credit unions. Bookmark the permalink. I love your list. However, I would like to add that St. James AME Church in Miami, Florida has a credit union and it has been in business for at least 50 years. I grew up depositing there and they are still going strong.